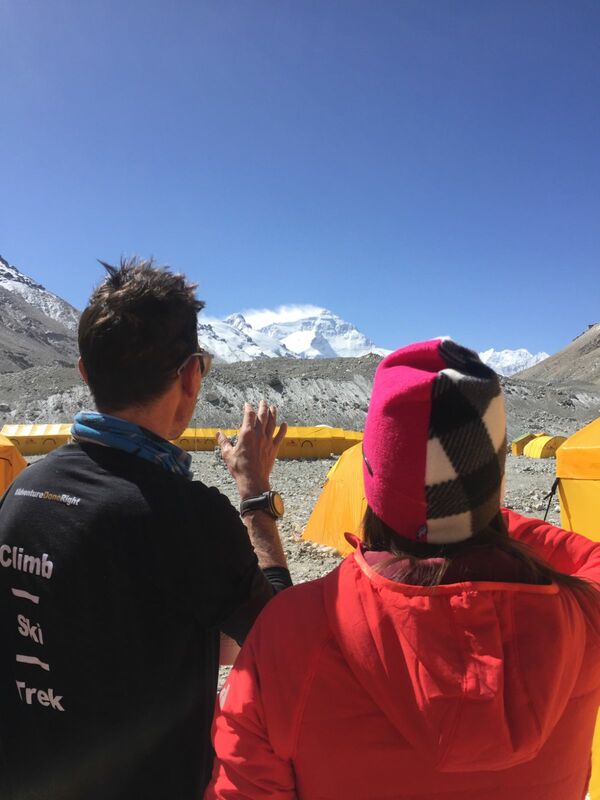 I am here guiding a small team of friends to climb both the 6th tallest (Cho Oyu) and the tallest (Everest) peaks in the world back-to-back in less than a month. To succeed will take not only athleticism and training, but also perfect logistics. And it’s these logistics, along with training, that have filled the past few months. Let’s talk logistics first. To survive on the mountain, our team of 13 climbers and 143 Sherpa will need over 9000 pounds (4000 kilograms) of equipment and food. This was all carried by truck to Base Camp from storerooms in Nepal and Tibet, and from Europe and the US. It’s then loaded on yaks to the upper mountain camps, and then carried by team members and Sherpa even higher on the mountain. 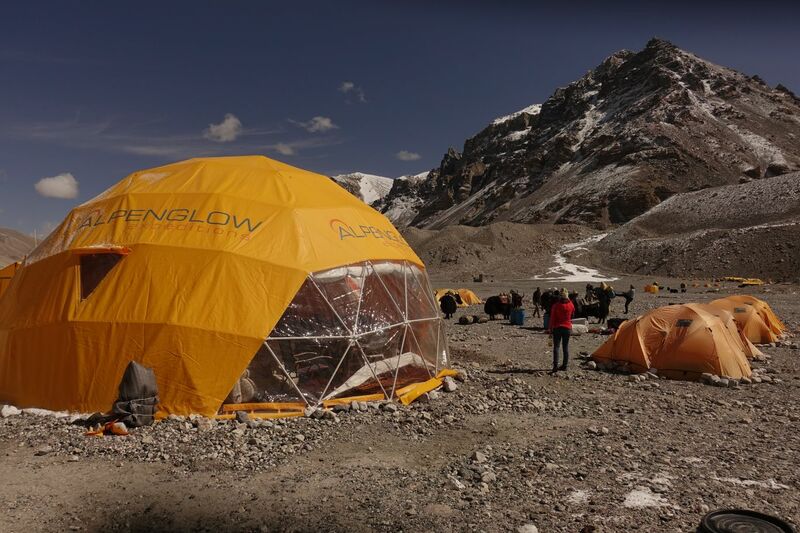 With 6 camps on Everest and 5 on Cho Oyu, we have to know where every piece of gear is at all times. Arriving into a camp high on the mountain that has not been stocked with the correct equipment can be deadly. Permissions are the other component that takes months. To climb in the restricted area on the border of Tibet and Nepal (where Everest and Cho Oyu both sit), we are required to have Chinese Visas, Tibet travel permits, Mt. Everest and Cho Oyu climbing permits, and restricted access permits. Each of these are processed separately and take varying levels of documentation. For 27 climbers along with a base camp manager and a doctor, that’s a lot of paperwork! The fun part amidst all the spreadsheets and forms, is the training. To attempt something like these 2 peaks takes months of dedicated training. 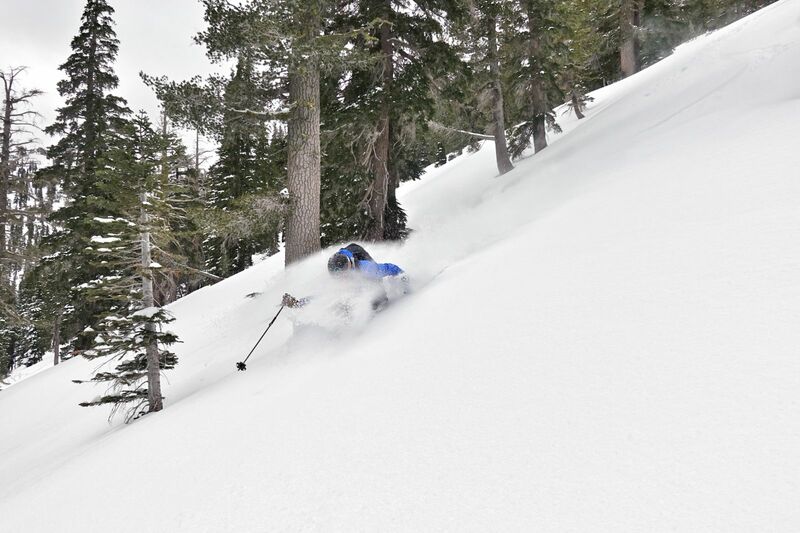 For me, living in Lake Tahoe, CA, training in winter means backcountry skiing – climbing up mountains and then skiing down them. At least 4 times a week I attempt to climb at least 4000 feet of vertical (with longer days of 8000 feet of vertical sprinkled in). This builds the base of aerobic fitness essential to climbing at high altitude on the world’s tallest peaks. The good news? Even when the climbing is hard, the ski descents are always worth it! And then finally, 10 days ago, I stepped on a plane from Reno to San Francisco to Chengdu to Lhasa. A final 1100 pounds of perishable food and fragile equipment flew with me, so we had the fun job of getting 22 duffle bags through security screens, between terminals, and finally onto a bus in Tibet. Since then it’s been a whirlwind of travel across the Tibetan Plateau, unpacking and organizing in Base Camp, and beginning to set up camps higher on both Everest and Cho Oyu. It is still early season, so the weather is cold and snowy. Sunnier and warmer days should be coming to the mountains soon! Adrian’s watch of choice is the Favre-Leuba Bivouac9000. 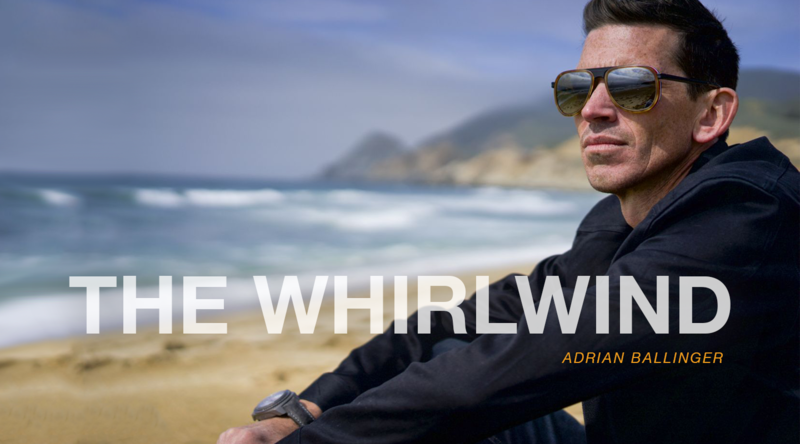 As a climber and mountaineer Adrian places great importance on a reliable and intelligent timepiece. 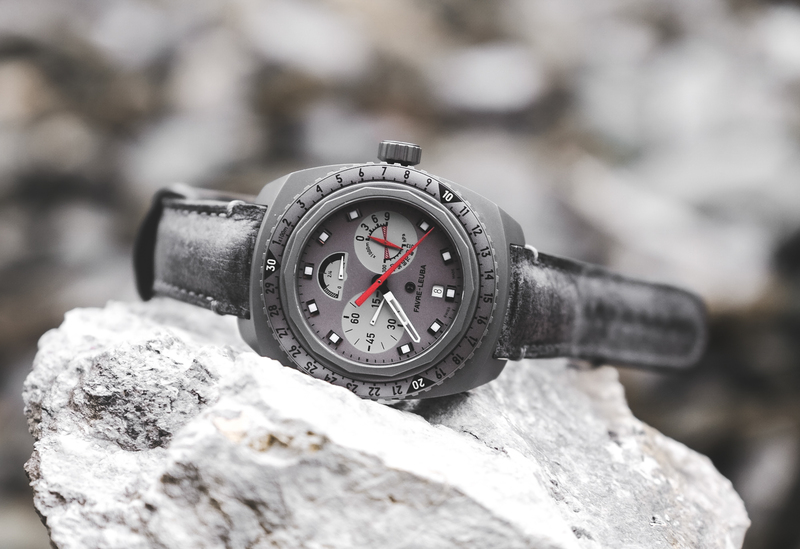 The Bivouac9000 includes instruments to read air-pressure and altitude level. Our pioneering timepiece has recently become the first watch to operate perfectly all the way up to 8848 meters at the summit of Everest. The watch uses an inbuilt altimeter to calculate air-pressure. As you ascend the mountain, air pressure begins to fall. The altimeter converts this information into a reading that can be seen on the two dials located on the face of the watch. You can follow our progress on Instagram @adrianballinger, and I’ll be doing takeovers @favreleuba as well. I’m looking forward to taking the Bivouac 9000 as high as it can go on this planet, to 8848 meters!